Community Yoga is. . . where I found my practice. I took my first class at Community over 5 yrs ago. The pose I love the most. . . is probably the pose that challenges me the most right now, half moon. The struggle of opening and balancing at the same time is difficult but addicting. My Yoga practice. . . helps to enhance my calm. It allows me to reconnect, readjust, and reset things that may have thrown me off balance. I am able to challenge myself, reflect, and make my life better. It truly is my therapy. The breath is. . . what drowns out the nonsense in my head. 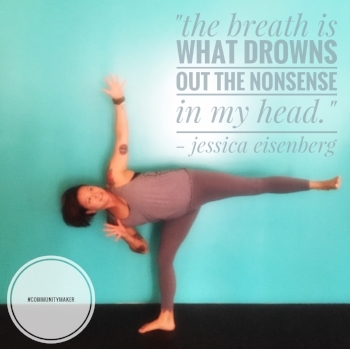 It allows me to keep pushing forward, whether, in a yoga class or in my daily life. Love is. . . the most important thing; it brings people together. 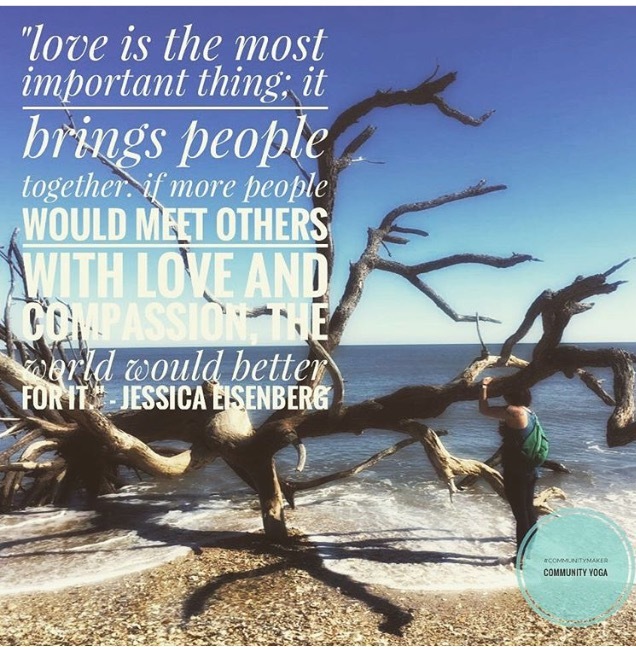 If more people would meet others with love and compassion the world would be better for it. Community means. . . coming together for fellowship, not just because we occupy the same space but because we share a common mindset. Favorite words to hear. . . Caroline saying "You can do anything for three more breaths!" What makes me come alive. . . traveling!!!! Experiencing a new city, spending time outdoors on a trail or relaxing under an oak tree.